Discussion in 'Nurseries and Growers' started by stebs, Oct 20, 2016. 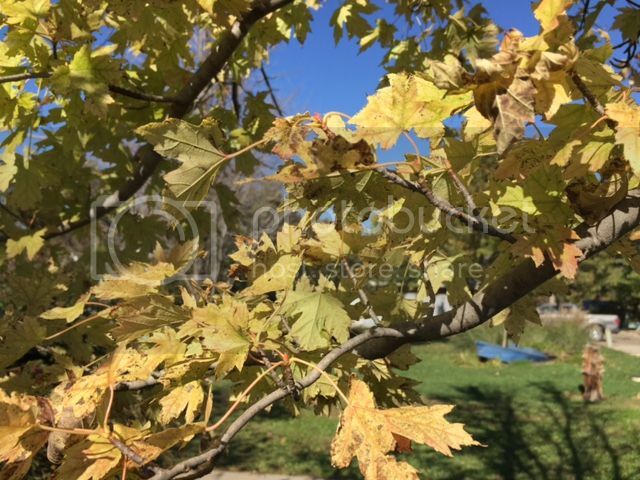 Have several Maple trees around. For the last few years, instead of the leaves turning red, they just turn yellow and fall off. Lack of water? need fed? disease? 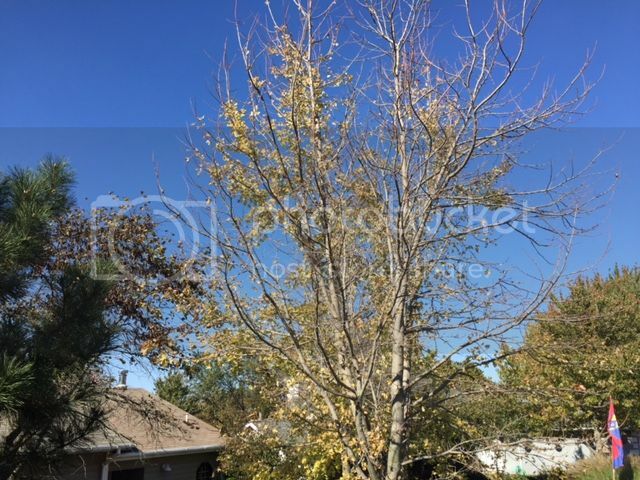 Hard to say, stebs... stress in trees shows itself because of many factors... drought, girdling roots (choking), soil conditions, planted too deep, etc. I wish there was an easy way to diagnose stress in trees as it seems to rear its ugly head every year. Unfortunately, with older trees, the source of the stress tends to take a year or more to show the symtoms. 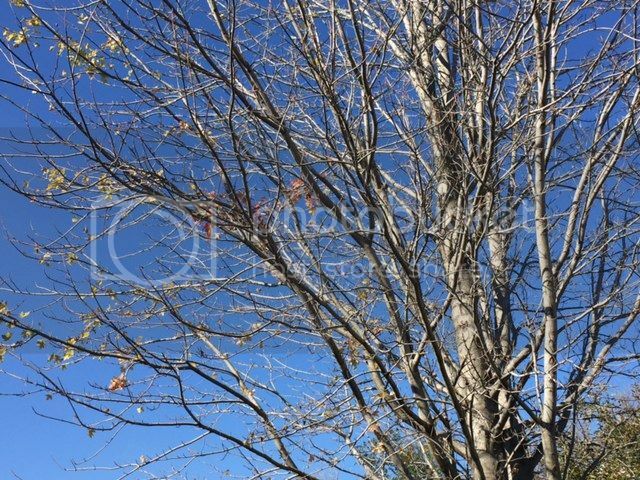 I have a customer (I'm in Michigan) that has a red maple that colors up at least a month early and drops its leaves before any others do. Been like this for a number of years. Did some deep root feeding a few years back and that seemed to help... for a short while. It is next to a driveway and the foundation of the home. Stress!! Check it for health. Is it growing properly? Did it put on 6 inches of new twig growth in the past year? (At least on twigs in full sun.) Are roots restricted? Poor drainage? Poor irrigation? Not in full sun? For best results--it should have a tree ring with bark chips around the trunk. Check for differences in site. * Most red maples (A. rubrum and hybrids) are sensitive to alkali soils. You want to keep the pH around 6 to 6.5. Really unhappy above 7. * Maples are mostly understory trees when young. They like a consistenly moist soil. Cutting the grass longer (3-4") make for a cooler soil. * Is it getting enough water? Dig a hole a few feet outside the drip line. You should have some detectable moisture 6" down. * What is the fertilizer regime? Most lawn ferts are unbalanced too much toward N for happy trees. Check that there is a reasonable set of micronutrients too. Maples are quite variable in fall colour. Even the same tree can have multiple colours. I have some sugar maple that are predominantly orange most years, but on a given tree it can be red, orange, yellow, and burgundy. Lot seems to depend on temperature. Mine don't colour up until after hte first frost. If we have a late summer, they just go yellow. Silver maple doesn't really have fall colour, unless you consider beet soup tinted dishwater to be a colour.